FFWPU Oceania: OLT held a 3-day 2nd Gen workshop at Peter Holdem’s farm, a couple of hours north of Auckland, from the 5th to the 8th of July. The majority of the participants, close to 20 in number, arrived on the evening of the 5th and we gave an overview of what the schedule was for the workshop. 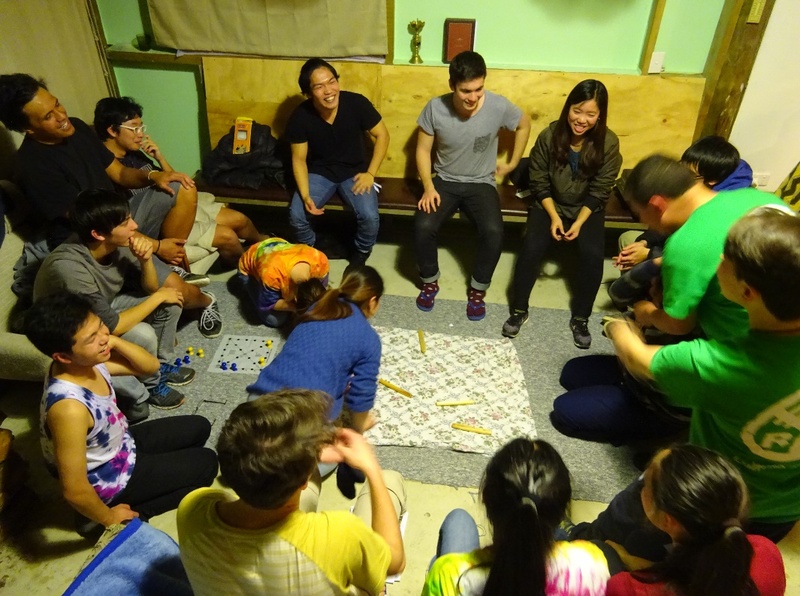 There were a couple of ice breaker games led by two OLT members and then all the participants were divided into three teams, with OLT as team leaders. We had HDH each morning in teams with discussions after each session. God and what importance they placed on that relationship. 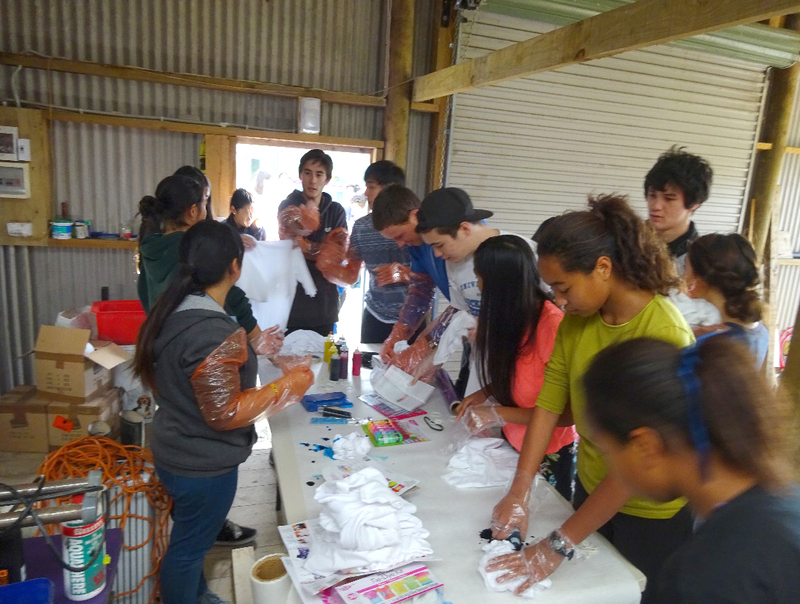 After lunch, there was an activity where participants could express their creativity by tie-dying t-shirts. This was followed by two talks given by OLT members Abby and Akimoto, who shared about “God’s Viewpoint” and “Meaning In Your Life”, respectively. Both drew from their experiences on OLT in particular, especially in connection with fundraising. In the evening, participants enjoyed a movie night as a good way to wind down after the busy schedule of the day. The second day included 3 talks revolving around the theme of parents; Natascha gave a testimony about her relationship with her parents, a 1st gen parent at the workshop shared about why she joined the church and Jana’s talk was about True Parents and our relationship with them. The group activity for the day, hiking, was at lunch time, so we hiked in nature and had a picnic lunch, in spite of the infrequent rain. The other activity of the day was after dinner, where three teams and one staff team competed in a couple of energetic games of Yute. Points were awarded to the winners, which were added to other points earned by the teams throughout the workshop. The final day revolved around the question of 2nd gen identity. Three OLT members, Erika, Kenta and Nathalia, shared their personal experiences related to issues that are prominent in high school, such as keeping your purity and deciding on your future education and career path. In the afternoon we had an impromptu question and answer session for the 2nd gen, as the OLT felt the participants had a lot of unanswered questions that they wanted to discuss. This Q&A was led by Natascha, Jana and Peter Holdem, and it was a good opportunity for some sensitive issues to be addressed. The last and final talk was given by Jana, topic matching the theme of this workshop, “Our Identity as 2nd Gen”. Some parents who generously volunteered their time to drive participants and staff back to Auckland joined for the final evening dinner, which included some homemade marshmallows, and a special musical performance by the OLT. It was a joyful conclusion and everyone was sad to part so soon, after becoming so close. Overall, this was a successful workshop, and we have received feedback from the attendees that it was different from usual workshops that they have gone to. 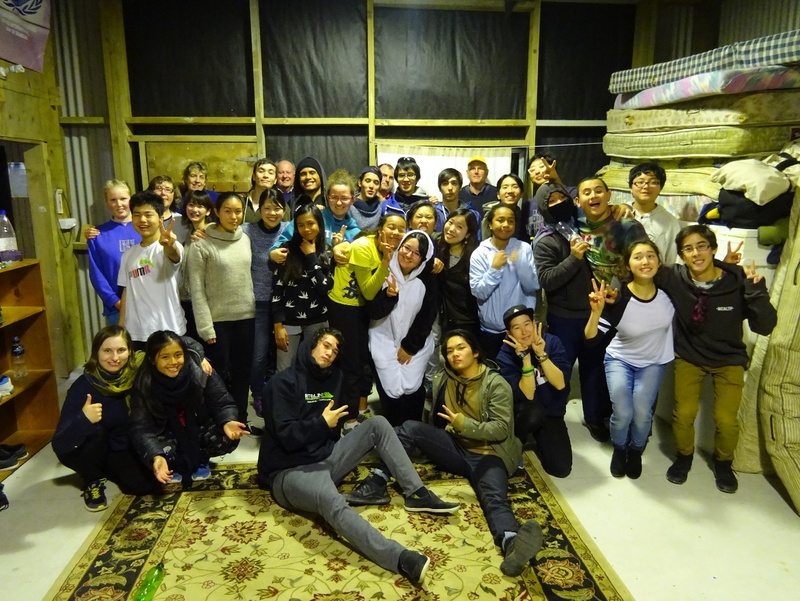 OLT invested their hearts into the New Zealand youth community and everyone involved found this workshop to be the highlight of their two weeks in New Zealand, and we hope to be able to do it again in the future.